McCollum Lake is located in northern Michigan, approx. 25 km northeast of Mio. This area is the darkest in the lower Michigan peninsula and thus an ideal location for astrophotography, despite a few (rather unobtrusive) lights from buildings around the lake. 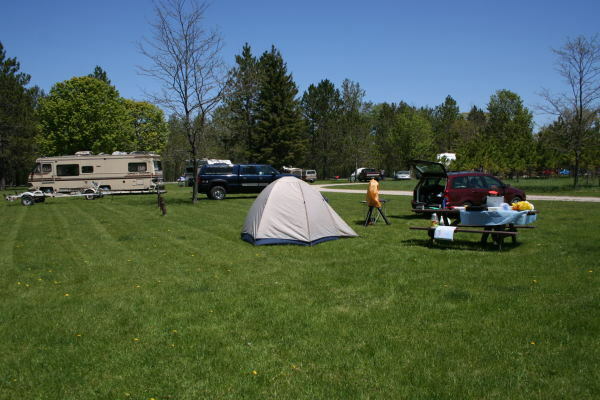 Next to the lake there is a state forest campground. The star trail image is a composite of ten 5-min exposures and shows the rising summer Milky Way with the Summer Triangle. The raw images were loaded into Gimp with the UFRaw plugin, which was also used for dark frame subtraction. The 10 layers were combined with the "lighten only" setting. Combining the raw frames (as opposed to JPEG images) eliminates JPEG artifacts, which may cause "gaps" in the star trails. 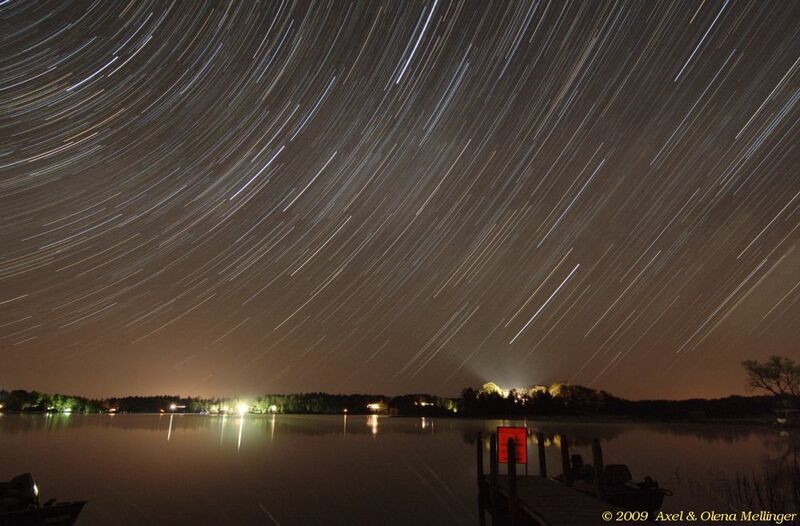 Note the reflection of some bright star trails in the lake!